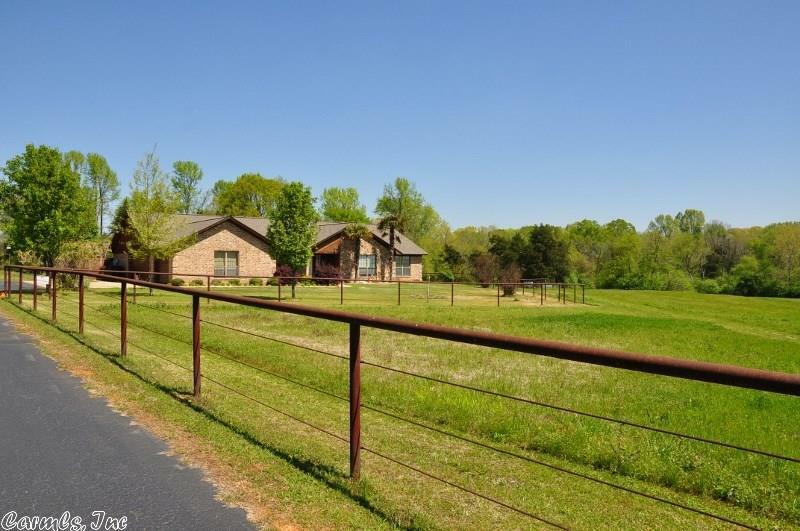 Beautiful home with 20 acres close to town. Living has cathedral ceilings and a rock fireplace that can be wood burning or gas. The kitchen offers lots of oak cabinets and large island. 3 bedrooms, 2 baths with the master bedroom having a tray ceiling and french doors out to the patio. Master bath has a Jacuzzi tub, step in shower, double sinks, and large his & her walk in closets. There's a 3 car garage, shop, pool and deck with a changing room and bathroom. Beautifully landscaped and much more.